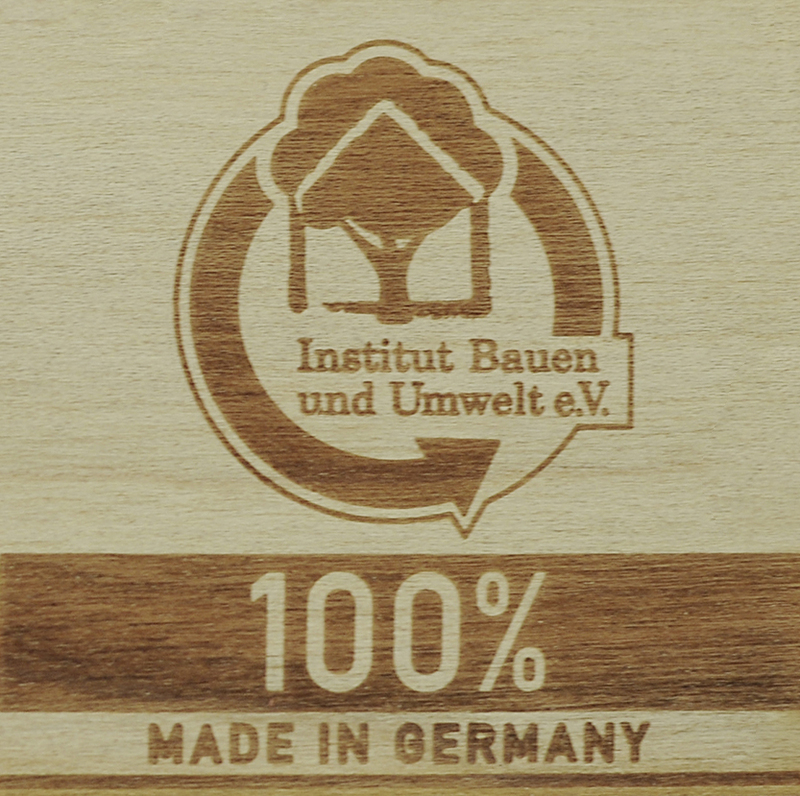 As one of Germany‘s leading tile manufacturers, the Steuler Group has joined the IBU (Institut Bauen und Umwelt e. V. — Institute Construction and Environment) whose declared objective is to promote sustainable construction. Sustainability is, however, not just an abstract label for the Group; it represents a specific commitment to consistent environmental management. To this end we analyse all of our processes that impact the environment and redesign them where necessary. 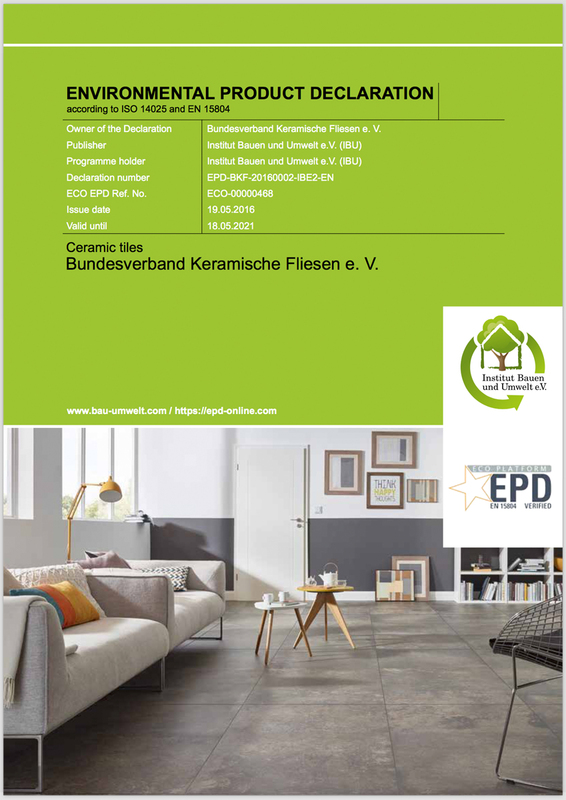 We focus on ecological compatibility even before we start manufacturing a tile. Steuler factories therefore mainly work with suppliers who manufacture raw materials from natural origins and who are certified in accordance with specific guidelines, such as the European Union‘s Birds Directive. Added to which, excavating companies must submit an estimation of the environmental consequences and their recultivation plans. The fresh water used in the actual production process is obtained from our own well and not from the tap. Every last drop of the water we use is recycled and used again. As such, none of the sites operated by the Steuler-Fliesengruppe produces wastewater in this respect. Reduced emissions of harmful substances are also extremely important for the plants. Our nitrogen oxide, sulphur dioxide and dust levels are all more than 80% below the emission limits specified by TA Luft (German technical instructions on air quality control). If one cumulates all the emissions generated by our production they are with towthirds significantly lower than the stipulated limits. In addition, the Steuler-Fliesengruppe focuses on energy-efficient measures. The waste heat generated during the firing process is used for the dryers on the sites. The lighting in the production halls is selectively switched and turns on and off automatically as needed. No hazardous waste whatsoever is produced during the entire manufacturing process. A lot of the scrap tiles are recycled into the production process, leaving just very little waste. And even this waste can be recycled and used as building or raw material for other ceramics processing operations. With a recycling quota of about 96%, Steuler-Fliesengruppe is, on balance, well ahead of the 85% guideline (according to the waste disposal authorities in Bremerhaven). Kerateam is a member of the Saxon Environmental Alliance, an association of the Saxon State Government and Saxon companies, which aims to achieve environmental goals and reduce environmental pollution in the Region. All of the measures that constitute our in-house environmental management help to ensure that the Steuler-Fliesengruppe meets even the most stringent standards. Although the Steuler plants have already achieved a great deal, we will continue to strive to further improve our ecobalance in the future.